Nokia has presented a concept mobile phone with a rechargeable battery automatically when inserted into user's pocket. 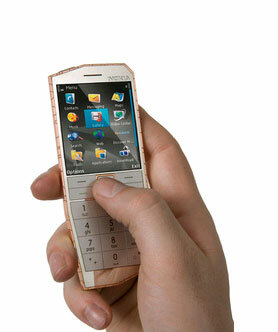 Mobile phones with name Nokia E-Cu, is a concept phone that uses a charge system using human body heat. In addition, Nokia E-Cu capable of absorbing the user's body heat into electrical energy that can serve as docking. This is because the Nokia E-Cu did not have a charger. So to be able to absorb heat energy, then the handset would need thermogenerator to help absorption. Later, the handset was only incorporated into the pants pocket, automatically saves your phone from the user's body heat and turn it into energy, then immediately return phone battery is full or filled.